John Agostini has a wicked sense of humour. 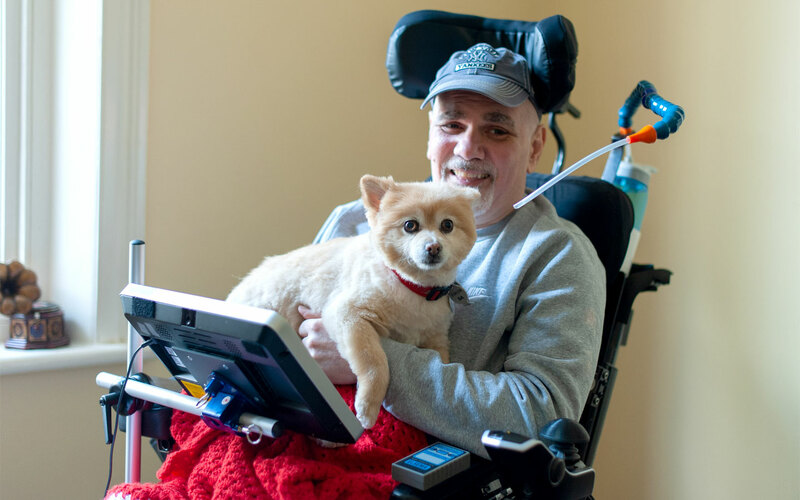 The 51-year-old likes to make others laugh – and he uses his assistive technology from Novitatech to share a joke or two. John has been living with multiple sclerosis (MS) for more than 10 years, which has slowly affected is movement, speech and vision. 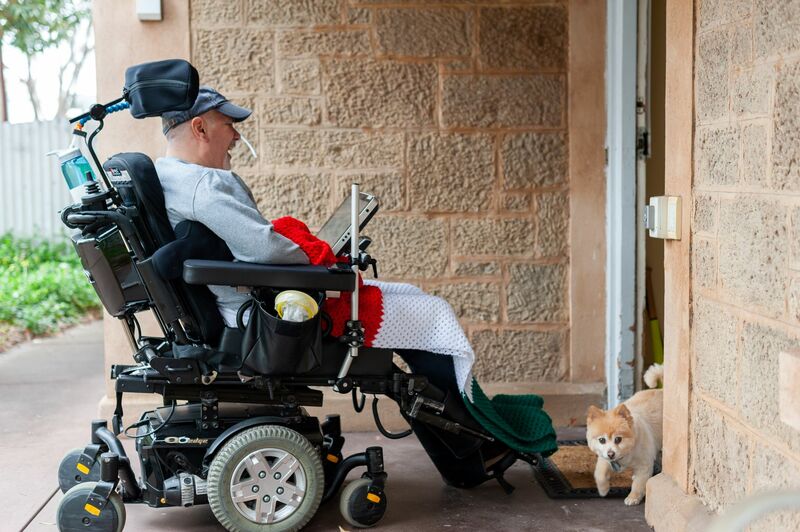 John says information technology has had a profound impact on his life, enabling more independence by controlling many elements of his home via technology from his motorised wheelchair or bed. 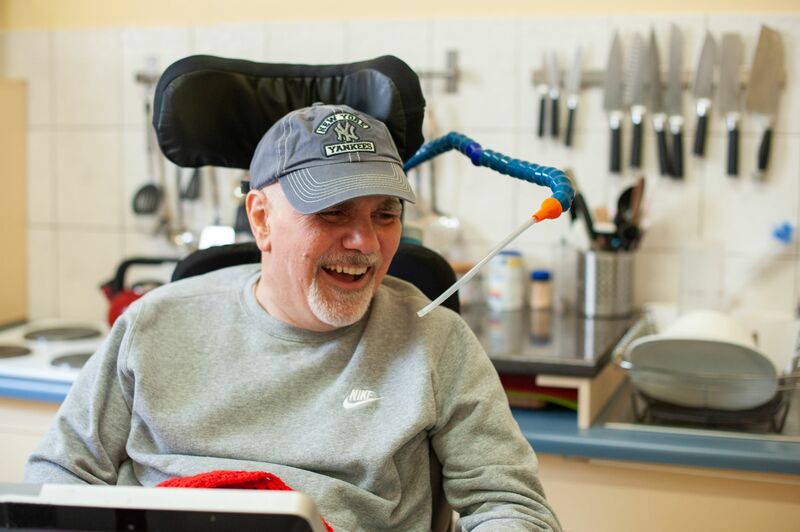 John uses a tailored windows tablet with specialist software to access his phone so he can make voice phone calls and send text messages using a special, enlarged touchpad and joystick if his voice fails. Screen-reading technology means the computer can read out text or messages he has typed. 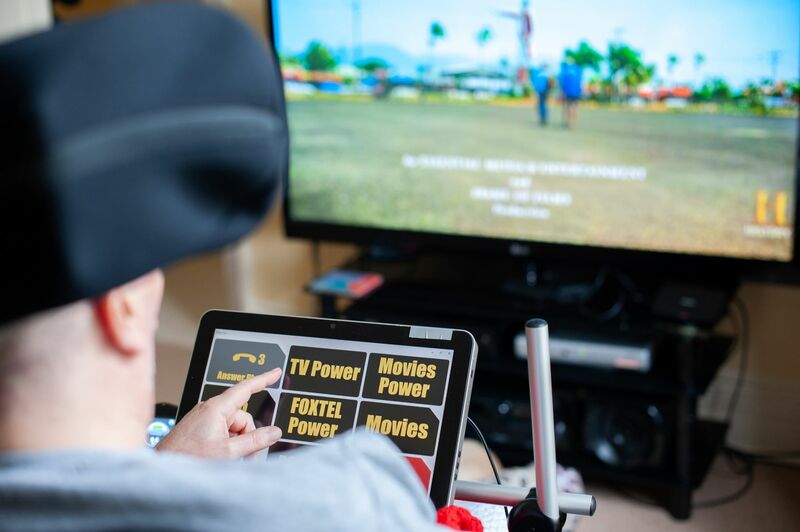 From the tablet, John also controls his lighting, fans and operates his TV and Foxtel channels. It was customised to be of high contrast colours for easier visibility with auditory cueing. Novitatech also installed a radio-controlled front door in John’s house, accessible by the single press of a button. John was in his late 30s when the first signs of MS developed. Before he stopped work, he managed stock purchase for 36 Harris Scarfe stores around Australia. 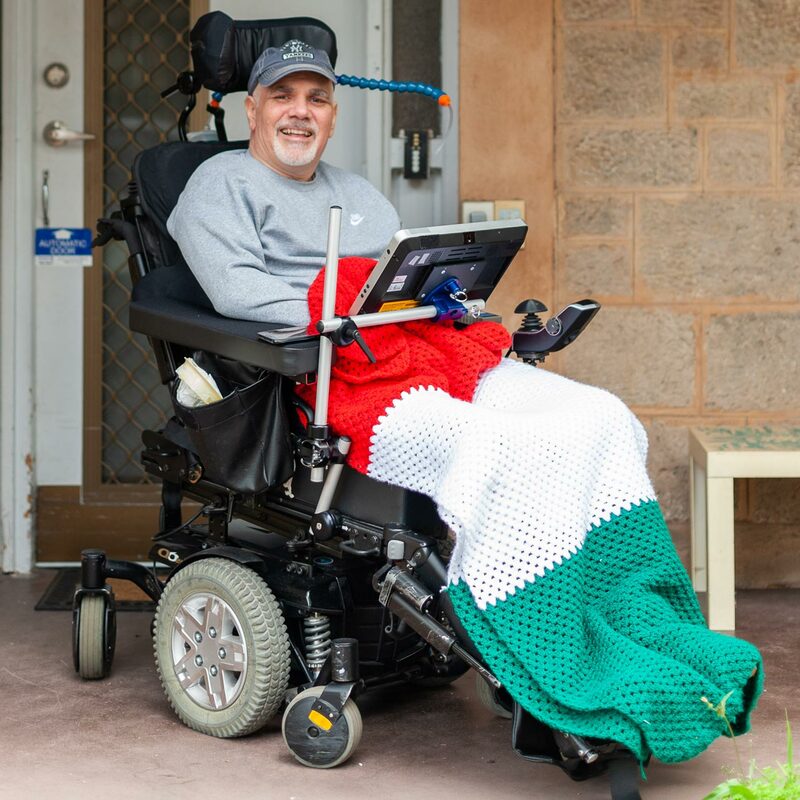 A proud Italian, John points out his favourite blanket – that of his nation’s colours – with a smile. He spends his days surfing the web – his desktop computer has been set up with large screen and joystick mouse control – making calls, sending messages, or choosing from over 1,000 movies on his big-screen TV, all from his tablet, with Holly, his 12-year-old Pomeranian, by his side keeping him company. “She’s my best mate,” John says affectionately. 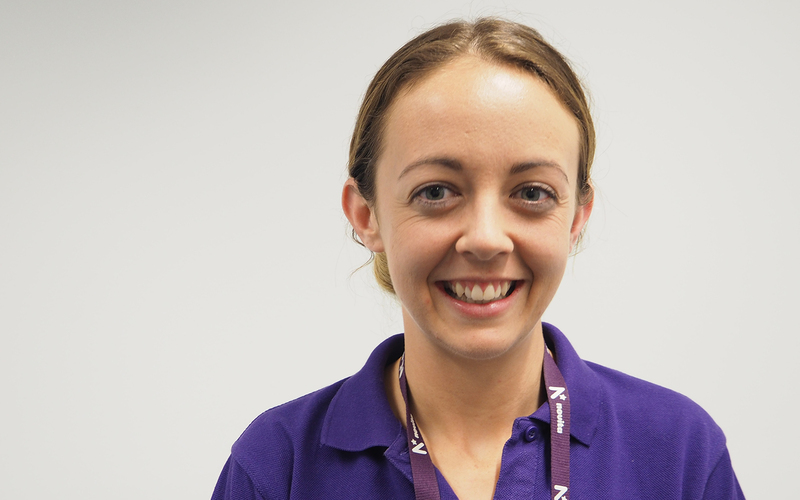 Much to John’s happiness, the technology in his life has supported him to have independence and be connected with the world between visits from carers. “It has really changed my life,” he says. 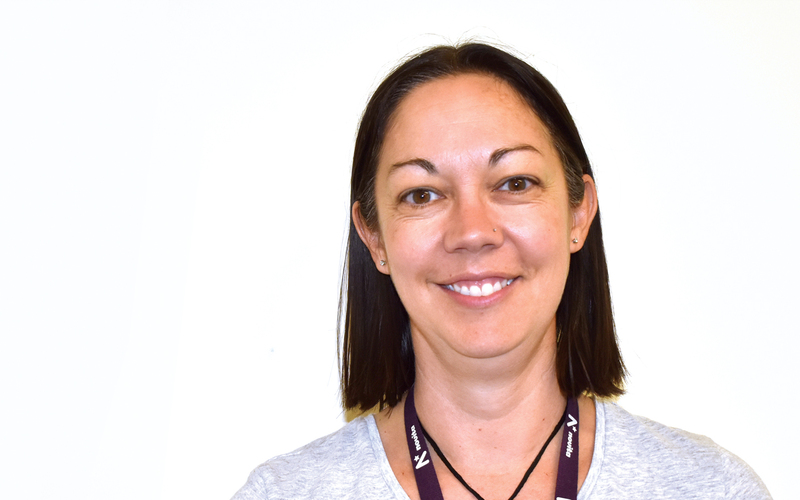 Visit https://www.novita.org.au/novitatech to see how we can support your independence today.